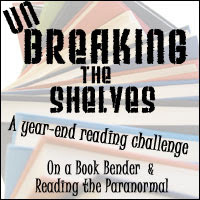 At the same time as Operation: TBR Reduction has pretty much ended (though I'll keep it in my monthly wrap-ups, because I like it), Amanda at On a Book Bender and Kelly at Reading the Paranormal have started a new challenge called Unbreaking the Shelves. 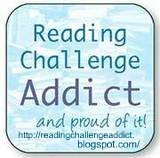 It's a two part challenge, and you can basically set your own goals for each part in whatever makes the most sense for your TBR pile/mountain/mountain range. Part 1: Actively organise, categorise, and otherwise be brutally realistic about the books you have in your pile. This part can include things like making new Goodreads shelves, deleting free ebooks that you no longer want to read, etc. The point is to get a system in place that gives you an accurate picture of your TBR pile and helps you deal with incoming books. Part 2: Actively work on bringing that TBR pile down to something that isn’t threatening you with bodily harm if you don’t start reading it. 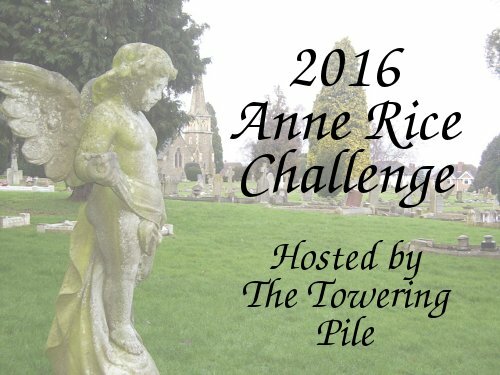 Prioritise your TBR pile, and set quantifiable goals for getting it under control. Get my TBR pile under 700. (It's currently at 718.) (Progress: 752) Epic fail! Get my review request queue down to 0. (It's currently at 7.) (Progress: 11) Somewhat epic fail! Read at least 10 books off my list of series that I've started and of which I already have at least the next book. (Progress: 8/10) Pretty close! Excellent goals! I think I might modify my organizational goals a bit and clean up my Goodreads shelves even more. They don't quite feel like they're up to the level I want them at. Good luck and thank you for joining us! Thanks! :) Changing my Goodreads shelves is hard with so many books! And some books are really hard to be more specific than speculative fiction on. It'll definitely make things easier to browse, though! You've got some good goals! Good luck! Like Kelly, I may try to work on my Goodreads shelves a bit more. They're sorely in need of...something. Yeah, I already have too many Goodreads shelves, but somehow I always find myself making more, in hopes that it will somehow make things more organised. Good luck to you too! Great goals! 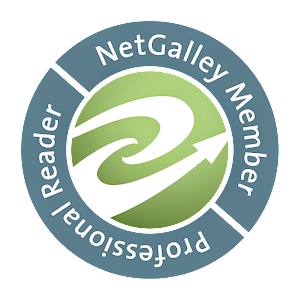 I really should mark a few more things on my Goodreads page, especially series books. I have LOTS of them on the go! I like your review book goal -- that's one of mine, too!